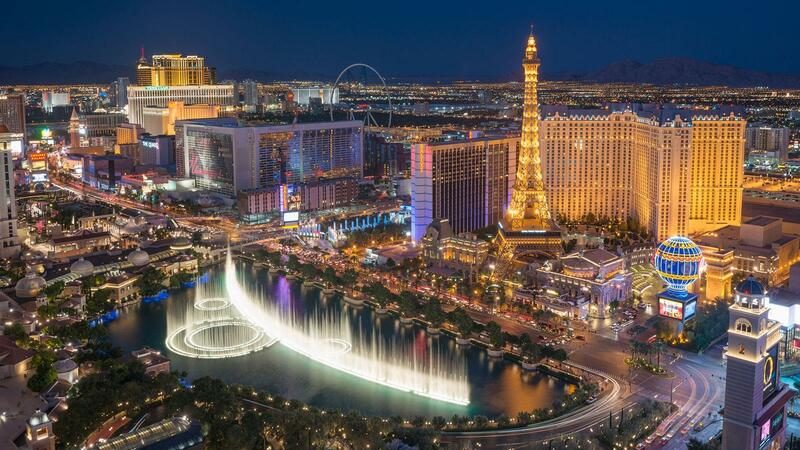 There's never been a shortage of reasons to visit Las Vegas. Whether it's gambling, taking in world-class entertainment or dining at restaurants owned by famous chefs, Americans have long flocked to the city in the desert for a chance to indulge in pleasures unavailable to them at home. And for cigar smokers, with smoking bans tarnishing the cigar cultures of New York, New Orleans, Chicago and other cities, this old school Sin City charm rings truer now more than ever. There's no question that Las Vegas is one of the last great cigar cities left in America. Not only do most of the resorts and casinos provide ample accommodations for smoking patrons, most offer venues specifically geared towards cigar smokers. Quality humidor selections are available where seating is comfortable, temperature is fair and cigars can be enjoyed alongside premium libations. On the Strip you'll find an array of upscale cigar bars inside some of the city's most famous resorts and casinos, but it would be a mistake to let your visit go by without experiencing the recently revived downtown area. As profiled in a recent issue of Cigar Aficionado, revitalization and renewed interest has turned the once forgotten area into one of the most popular up-and-coming neighborhoods in the country. And like the rest of the city, there are some unique venues where cigars can be enjoyed. The Caribbean-themed Rhumbar is the premier cigar-smoking venue inside The Mirage Hotel & Casino, the current home of Cigar Aficionado's Big Smoke Las Vegas weekend. The menu, inspired by its namesake spirit, offers a variety of top-shelf rums and signature cocktails like the Rhumbar Mojito, Latin Manhattan and 1944 Mai Tai. Bring your own cigar or delve into Rhumbar's humidor, which provides a selection of fine cigars including Ashton, Arturo Fuente, Padrón and La Flor Dominicana, as well as Montecristo, Romeo y Julieta and Cohiba. Enjoy a cigar and libation inside the luxe all-white bar or step out onto the large patio and take in a spectacular view of the Strip. For those of us who find there's no better friend to a premium cigar than a glass of fine whisky, the MGM Grand's Whiskey Down is an absolute must. Inspired by the ambiance of an old Hollywood speakeasy, Whiskey Down boasts a selection of more than 50 different types of American, Canadian, Irish and Scotch whiskies. Relax on the oversized plush leather furniture or enjoy a game of Blackjack on one of three tables. Although Whiskey Down does not have a humidor of its own, cigar smoking is more than welcome. Guests are free to bring their own cigar or pick one up at the nearby Davidoff of Geneva shop located within the resort. They don't call Las Vegas the Entertainment Capital of the World for nothing. Where else can you smoke a cigar while watching two dueling pianists riff on a variety of songs ranging from classics to current pop hits on a nightly basis? At Napoleon's Dueling Pianos the entertainment begins at 6 pm and goes until 2. There's no cover, but a two-drink minimum is required for all patrons. Napoleon's has a large wine list, as well as a variety of cocktails, spirits and, of course, cigars. Opened in late-2015, the Davidoff Cigar Bar is another new addition to the list of large upscale cigar venues in Vegas. Located at the Fashion Show Mall (between Treasure Island and Trump International hotels, across from the Wynn and the Palazzo), the 2,500-square-foot floor space is perfect for taking in the hustle-and-bustle of the city. The 50-seat outdoor patio provides ample space for patrons to enjoy a cigar and a cocktail while people watching on the heavily populated sliver of the Strip. And if the weather isn't suited for the outdoors, the bar area is surrounded by large windows, so you can relax in a comfortable indoor setting while taking in the outside action. The brand new Montecristo Cigar Bar located inside Caesars Palace is a 4,000-square-foot space equipped with bar-top gambling, a large walk-in humidor and a 100-seat lounge, ideal for large parties. (A cordoned off 10-seat room is also available for private dining, but advance reservation is required.) Enjoy a prix fixe menu of cigar and spirits pairings or create your own from a selection of cigars like Montecristo, H. Upmann, My Father, Padrón and more. Montecristo's spirits menu features rare selections like Pappy Van Winkle Bourbon, Buffalo Trace's Thomas H. Handy Sazerac straight rye whiskey, and Rémy Martin Louis XIII Cognac. One of the most famous cigarmakers in the world is also the proprietor of one of the finest cigar bars in Las Vegas. Casa Fuente caters to Fuente fanatics with its red-and-gold Fuente Fuente OpusX ambiance and large walk-in humidor filled with the entire line of Arturo Fuente cigars, including the coveted Casa Fuente house blend and many varieties of Fuente Fuente OpusX cigars. Outside cigars are welcome, as long as patrons order from the bar. The spirits list is highlighted by the exclusive Jack Daniel's Casa Fuente Single Barrel Whiskey and the cocktail menu, an offering of Caribbean-style drinks. A place to grab a bite and a beer while watching the game is never hard to find. But a sports bar where you can smoke a cigar while you eat and drink? That's a sight to see even in Vegas. Chicago Brewing Company, located inside the Four Queens Hotel & Casino, specializes in serving its own micro-brews with a selection ranging from the All Nighter light ale to the Sun Down dark stout. The menu offers a wide selection of bar fare, including wings, sliders and its own Chicago-style sandwiches and hotdogs. Chicago Brewing Company also offers a selection of premium cigars. Atomic made a name for itself as the working-class bar where Sinatra and the rest of the Rat Pack would drop in for a quiet drink after a performance on the Strip. At one point, it was also the place where you could stand on the roof and watch nuclear bombs being tested out in the desert. Today it's just a great place to enjoy a libation alongside a fine cigar. Atomic has close to 40 craft beers on tap and a large list of signature cocktails that pay homage to pop culture's past, like the Bonnie & Clyde, Hunter S. Mash and Sgt. Pepper's Lonely Tarts Club. Cigars can be enjoyed inside the bar or out on the patio. El Cortez claims to be the longest continuously running hotel and casino in Las Vegas—and from the looks of it, it certainly seems that way. Everything from its signature neon sign (informing passersby that gambling is indeed available) right down to the quaint Parlour Bar feels like a throwback to the early-1940s when the establishment first opened. Leather chairs, red carpet and drapes, and a cocktail list noted for its twelve specialty martinis makes Parlour Bar yet another staple of the Downtown Vegas bar scene. Binion's is a staple of Downtown Vegas. It's motto, "Good Food. Good Whiskey. Good Gamble," epitomizes the no-frills indulgences that the area was known for before its revitalization. Although downtown has seen its ups-and-downs since legendary Texas gambler Benny Binion opened the place in 1951, that old-school charm remains. Benny's Bullpen Sports Bar and Cigar Lounge, located inside the gambling hall, is a testament to the old days of the Glitter Gulch. Fine cocktails, good beer and a selection of cigars—all you need for a night out on Fremont. The Plaza Hotel & Casino is home to Oscar's Beef, Booze and Broads, one of the most iconic restaurants in the downtown area. And what compliments Oscar's three offerings better than a post-meal cigar? That's where Rocco comes in. A short walk from Oscar's, Rocco's Imported Tobacco offers a selection of premium cigars and a quaint seating area nearby. If you're looking for a nightcap while enjoying your after-dinner cigar, flag down a casino waitress who will fetch you a drink from the bar at Oscar's.